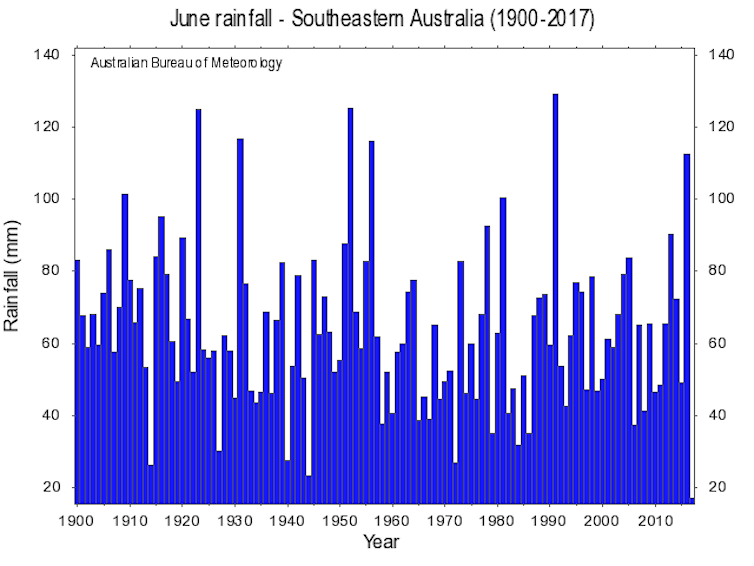 Australia’s second-driest June on record saw unusually dry conditions over most of the continent but more rain than average for Sydney and northeast New South Wales. Southeast Australia had its driest June on record this year. Climate change is increasing the likelihood of dry Junes for Australia as a whole, but the signal is less clear over the southeast. The best estimate likelihoods are shown with 90% confidence intervals in parentheses.